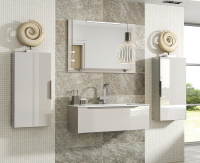 Our Eco Bathrooms have rapidly evolved into an impressive collection of Bathroom furniture, built upon three fundamental pillars. 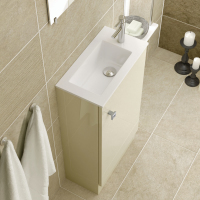 One – To utilise every square centre metre of space available within the typical small UK Bathroom. 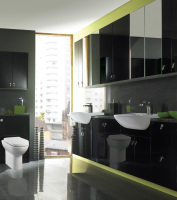 Two – To work with components and raw materials recognised as being the best within the industry, whilst delivering substantial savings, when compared to our competition. 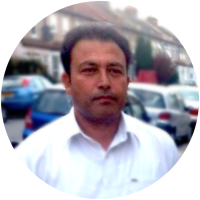 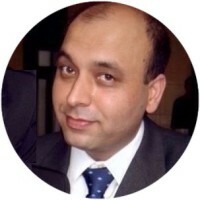 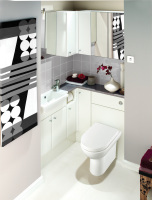 Three – Making it fitter friendly. 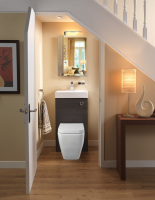 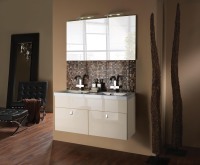 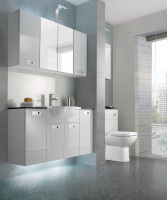 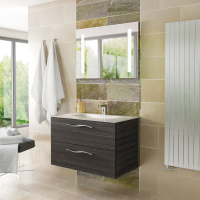 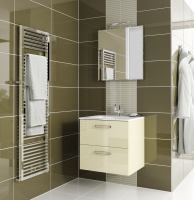 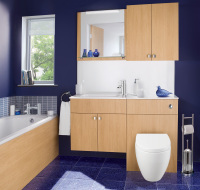 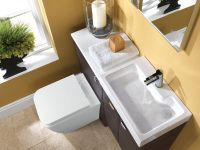 Eco Bathrooms consists of two depths of fitted furniture in a wide variety of sizes. 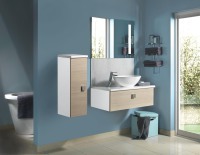 For the larger bathroom and those with contemporary tastes, we offer two collections of stylish modular furniture available in many width, height and depth options. 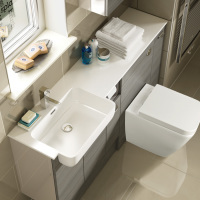 To complete Eco Bathrooms we have a collection of sanitaryware including bespoke basins that will ensure the lines of your furniture are not compromised.